Apple has released iOS 11.4 beta 3 and macOS High Sierra 10.13.5 beta 3 for iPhone and iPad, and Mac beta testers, respectively. Additionally, Apple has released tvOS 11.4 beta 3 and watchOS 4.3.1 beta 3 for users beta testing system software on their Apple TV and Apple Watch hardware. The latest beta builds appear to focus mostly on bug fixes and minor enhancements, and are unlikely to include major new operating system features. iOS 11.4 beta includes support for iMessages over iCloud, which aims to improve syncing of iMessages between devices using the same iCloud account. MacOS 10.13.5 beta also appears to includes support for iMessages on iCloud. Users enrolled in the beta testing programs can find the latest beta release available to download now from the respective software update mechanisms of their devices. For iOS, the latest beta build can be found in Settings > General > Software Update. For macOS, the latest beta build can be found in the Mac App Store “Updates” tab. TvOS beta software can be updated through the Apple TV Settings app, and watchOS beta can be updated through the iPhone synced to that Apple Watch. Apple usually goes through a variety of beta builds before releasing a final version to the public. 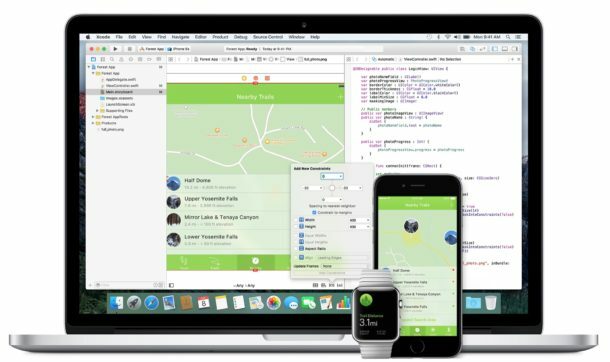 Thus, it is conceivable that iOS 11.4 final and macOS 10.13.5 final will debut at or near WWDC 2018, which starts in early June. The most recent final builds of iOS and macOS are currently iOS 11.3.1 and macOS 10.13.4 with High Sierra Security Update 2018-001. It’s beta 4, not 3. It’s iOS 11.4 beta 3, unless you’re in the future! Oops, and I’m not high. 3! Why is it still Beta 3 not 4? Any information about APFS for Fusion Drives??? Gotta hurry up. Need to 10.14 out the door as well. What do you meant you want a stable tested OS? Sorry we don’t do that anymore. I feel sorry for people who think that constantly buggy yearly OS updates are normal and who didn’t get to experience things like Snow Leopard.